AN intense battle for the FIA World Rally Championship is in store when top contenders begin their journey to the Kennards Hire Rally Australia season finale at the series Spanish round this weekend. RallyRACC Catalunya – Rally de España, starting today from the coastal city of Salou, resumes the WRC season after a six-week break. 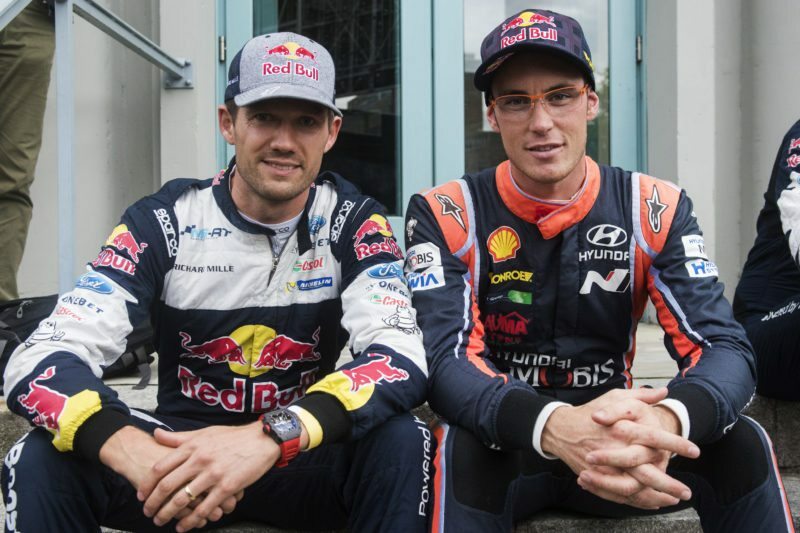 All eyes will be on the race for the drivers’ title between defending four-time champion Sébastien Ogier and closest rival Thierry Neuville. Separated by 17 points in the standings, neither can afford any setback as they progress through this weekend, then Wales Rally GB on 26-29 October and a possible decider at Kennards Hire Rally Australia on the NSW Coffs Coast on 16-19 November. Current leader Ogier took a psychological advantage by winning an unofficial Shakedown test yesterday, but he knows that won’t help when he has to start first today and clean the gravel road for his following rivals. “It’s going to be difficult, it’s clear, but Thierry starts just behind us so he won’t have a big advantage,” he said. With Ogier’s M-Sport Ford teammate Ott Tanak an outside title chance from his third position in the standings and Neuville joined at Hyundai this weekend by local star Dani Sordo and new signing Andreas Mikkelsen, there is potential for team orders to help the two main protagonists. But Ogier doesn’t want them. “Ott still has a real chance to fight for the title, so team orders would be completely unfair and I absolutely don’t want it anyway. I don’t want to win a title with help; I want to win it by myself,” he said. The Frenchman’s gravel-road penalty will last only a day before the rally switches to tarmac for its final two days and WRC regulations apply to give him a later starting position. But speed combined with a finish-at-all-costs approach will remain essential for Ogier, Neuville, Tänak and a fourth – theoretical – contender, Toyota’s Jari-Matti Latvala. None can afford a driving mistake or mechanical problem that would prevent them taking the maximum points haul from Spain and thus dropping to an irrecoverable position in the standings. “Entering this crucial part of the season for the championship, we must stay focused and look to target the podium, if not victory, in all rounds,” Neuville said. “Things are delicately positioned in the drivers’ championship between Ogier, myself and Tänak, so anything can still happen. RallyRACC Catalunya – Rally de España starts on Sunday afternoon after 19 special stages totalling 312km. Tickets for Kennards Hire Rally Australia are on sale now at ticketek.com, with a 2-for-1 offer on a $99 three-day pass available until 31 October.